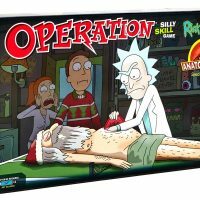 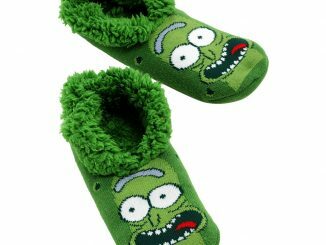 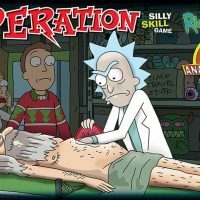 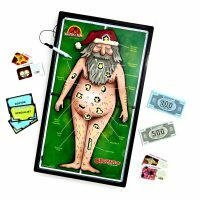 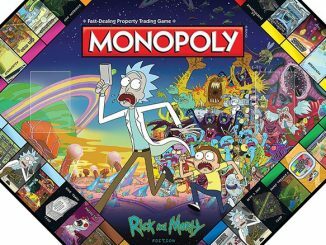 Not to be confused with the other Anatomy Park Game, the Rick and Morty Anatomy Park Edition Operation Board Game is patterned after the Operation Board Game. 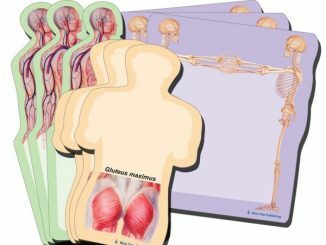 The Anatomy Park theme is the perfect match for this silly skill game, bringing a fun new twist to the classic game. 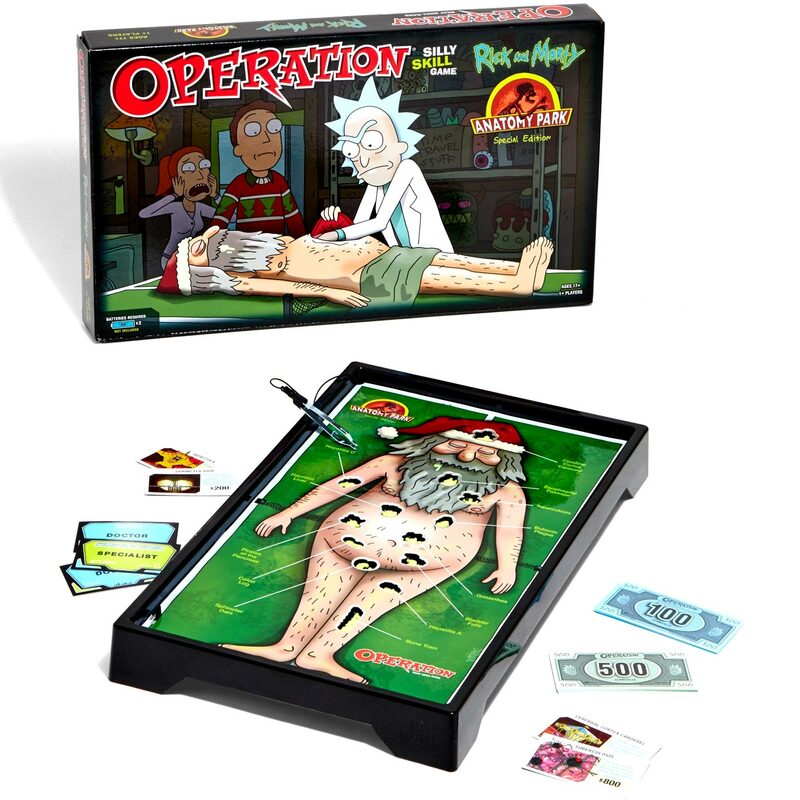 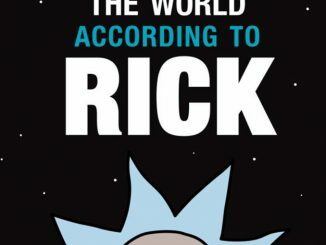 In this version, Rick needs help operating on his “old friend,” Ruben, a homeless man in a Santa outfit, who if you recall from the episode, had the Anatomy Park theme park inside of him. 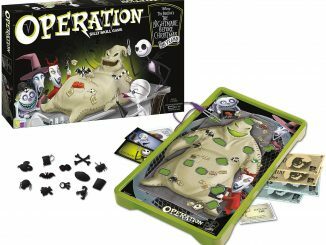 Some of the Funatomy parts match up to names of rides from the theme park, such as Pirates of the Pancreas and Haunted Liver. 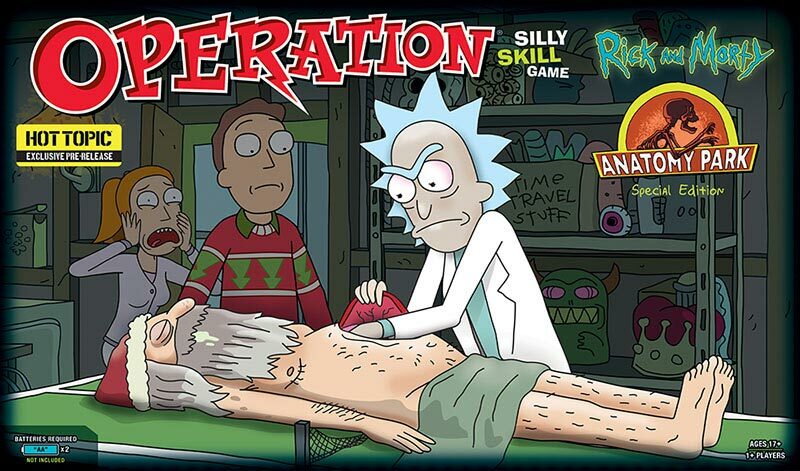 Rick needs help operating on his “old friend” in this edition of Operation. 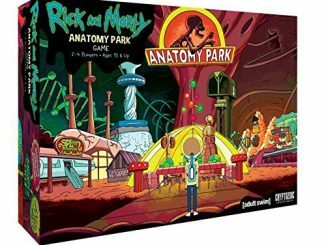 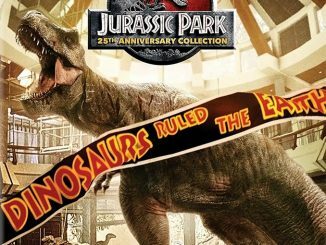 Try to salvage Anatomy Park’s anatomical attractions and attempt to save Ruben from certain demise at the same time! 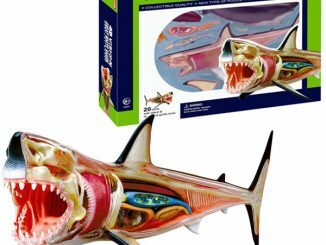 Some of the “Funatomy” parts include: Pirates of the Pancreas, Haunted Liver, Bubonic Plague and more! 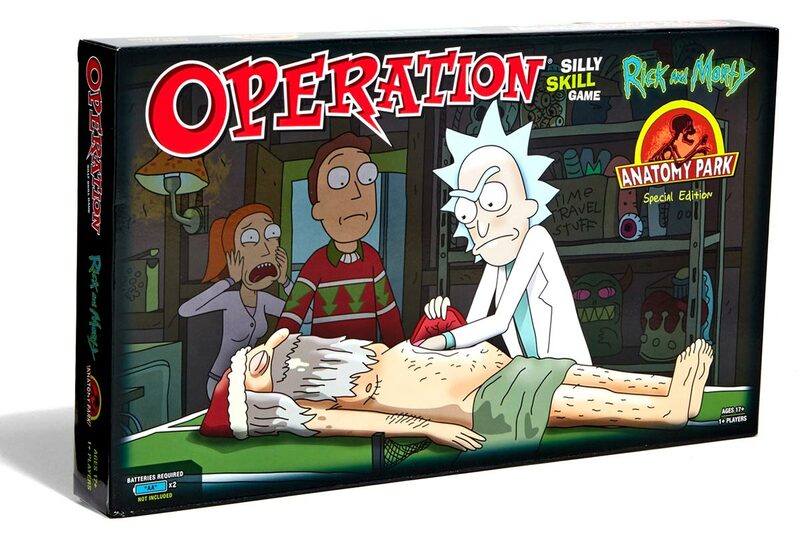 Contents include: game board & tweezers, 13 “Funatomy” parts, 26 “Doctor” & “Specialist” cards, play money and rules. 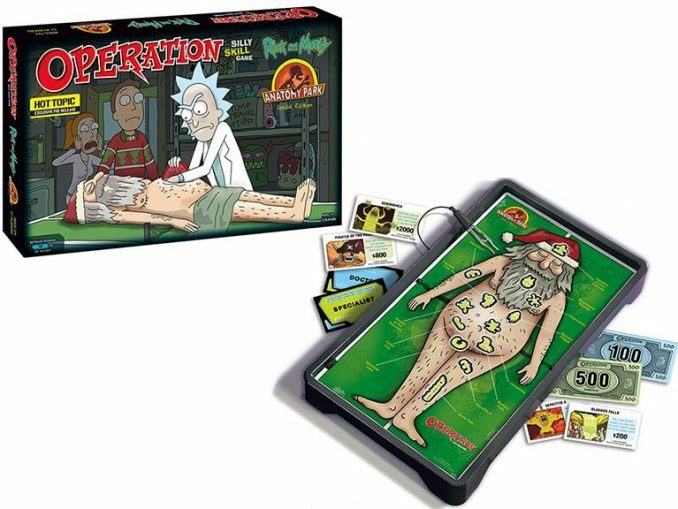 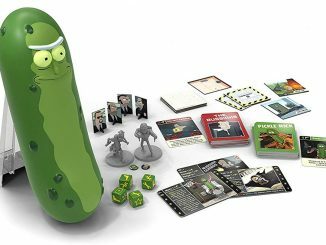 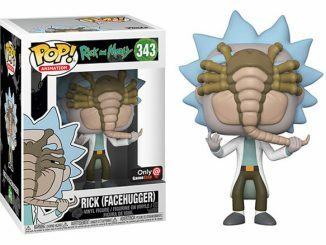 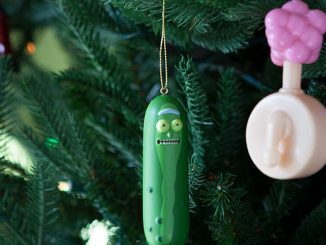 Initially, the Rick and Morty Anatomy Park Edition Operation Board Game will be available exclusively at Hot Topic and BoxLunch. 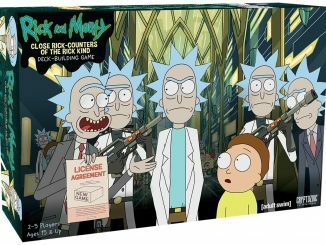 Eventually, it will be released to other stores.